The challenges faced by young cancer survivors during and after cancer treatment may have a significant impact on their educational and work-related opportunities, reports a new study. Fifty-eight percent of respondents said that cancer or treatment interfered with physical demands of their job, and 54 percent said that cancer or treatment interfered with their ability to perform mental tasks related to their job. The study also showed that not all cancers and not all treatments have the same effects on young survivors' financial outcomes. For example, those exposed to chemotherapy were more than three times as likely to borrow over $10,000, and more than three times as likely to report job-related mental impairment than survivors not treated with chemotherapy. "This project combined the expertise of researchers with diverse training from major cancer centers throughout the U.S. in a team-science approach, which made it possible to gather and explore data from adolescent and young adult cancer survivors in new ways. As a result, this is among the first and largest studies to examine the impact of cancer diagnosis and treatment on work-related outcomes in this important understudied group of survivors," says Betsy Risendal, Ph.D., an investigator at University of Colorado Cancer Center and associate professor at the Colorado School of Public Health. Collaborating institutions included academic medical centers in Seattle, Los Angeles, Philadelphia, New York, Boston and Chapel Hill. The study surveyed 872 young adults, ages 18 to 39 within 5 years of cancer diagnosis, but after at least a year since treatment ended. Participants included 241 survivors of breast cancer, 126 survivors of thyroid cancer, 126 survivors of leukemia/lymphoma, and 342 survivors of other cancer types. Interestingly, these cancer types tend to be treated with different modes of therapy, and types of therapy were associated with different long-term, work-related side effects. For example, young adult patients treated with chemotherapy for breast cancer had 2.66 the risk of mental impairment on work-related tasks, and 2.62 times the risk of taking unpaid time off work, compared with breast cancer patients who did not receive chemotherapy. Survivors of the large category of other cancers showed 3.67 times the chance of mental impairment on work-related tasks and 3.43 times the risk of borrowing over $10,000 compared with the pool of survivors of the more common cancer types. While the degree of specific risks varied by cancer type and treatment, risks for debt, time off (paid and unpaid), and work-related impairment (physical and mental) were elevated across the board for young adult cancer survivors. "The results of this study are important because they describe the challenges faced by adolescent and young adults during and after cancer treatment that could uniquely impact both educational and work-related opportunities," Risendal says. People who are diagnosed with cancer usually worry about the financial burdens of treatment. Doctors and other clinicians should take special efforts to address the financial toxicity of cancer treatment. Cancer treatment-related out-of-pocket costs create substantial financial distress for many patients and care-givers. 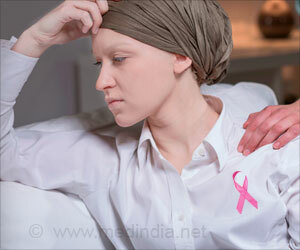 Medical debt: Cancer survivors face greater financial burdens related to medical debt payments and bills, reveals a new study. Regular physical activity helps improve overall health and fitness, and also doubled the breast cancer survivors's post-treatment mental processing speed.